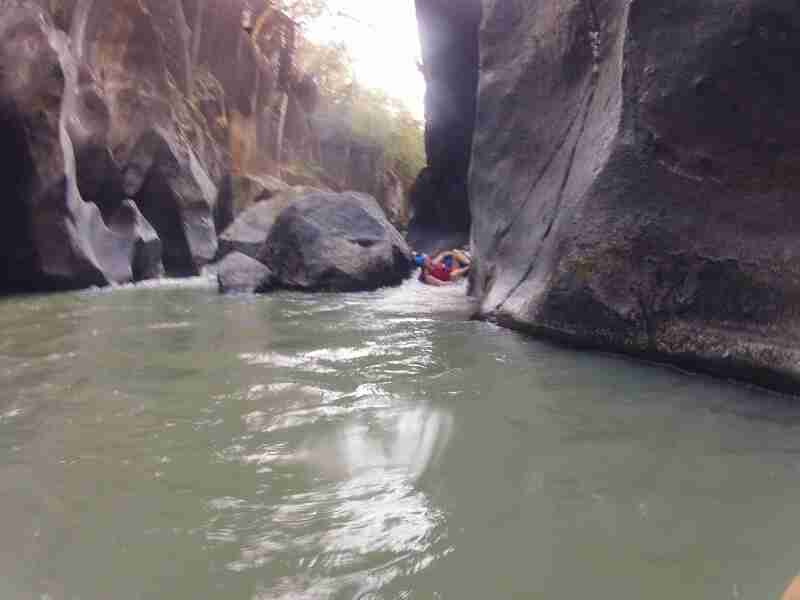 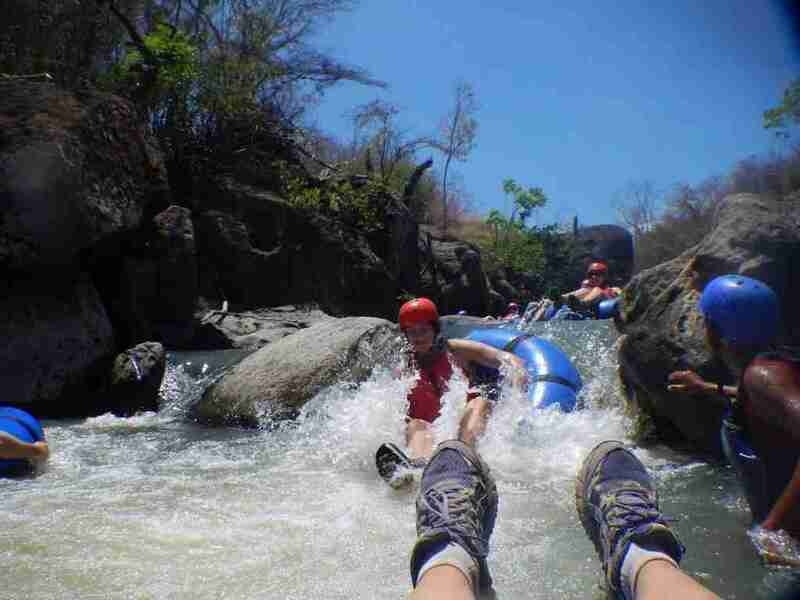 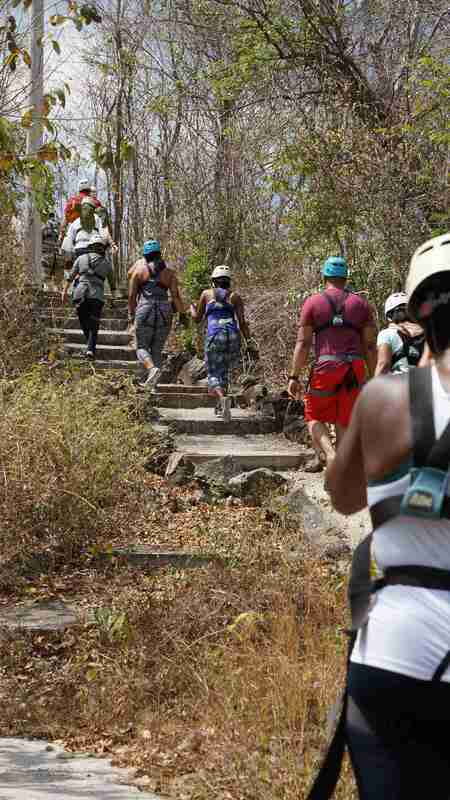 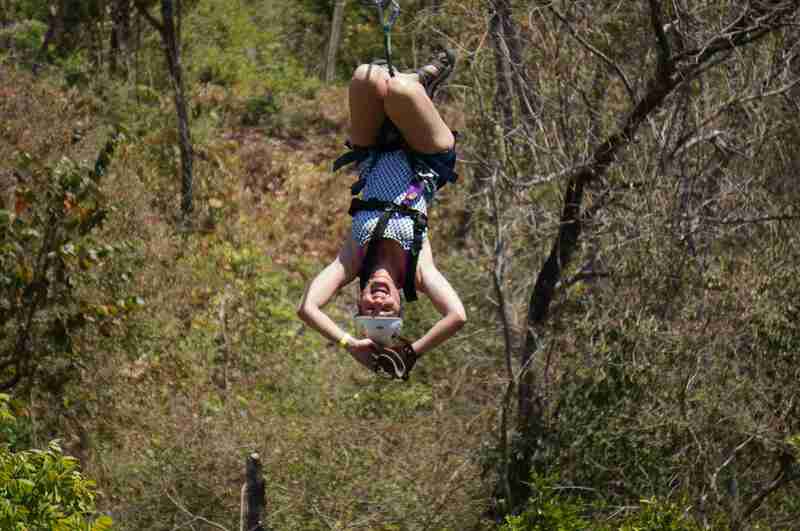 Rio Perdido Adventure Park is one of the best Guanacaste Tours. 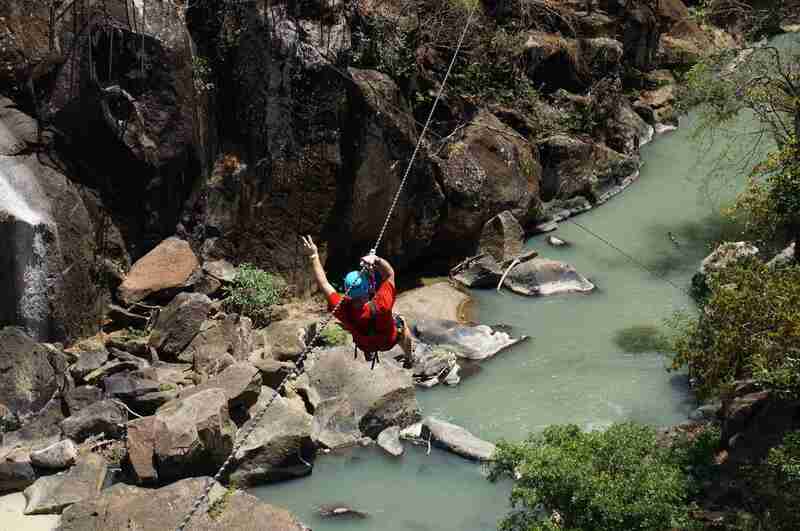 Enjoy the amazing zip lines and the river tubing and relax at the hot springs. 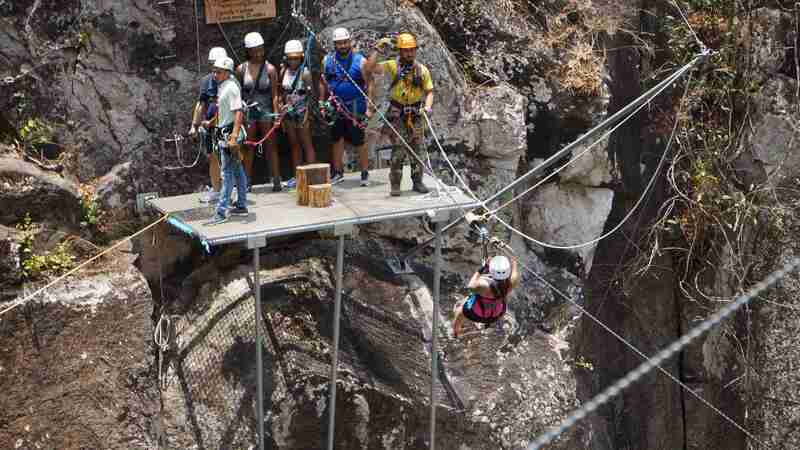 The tour takes you to the beautiful area on the Miravalles Volcano, enjoy the amazing tubing adventure, the zip lines and relax in the hot springs or the natural thermal river. 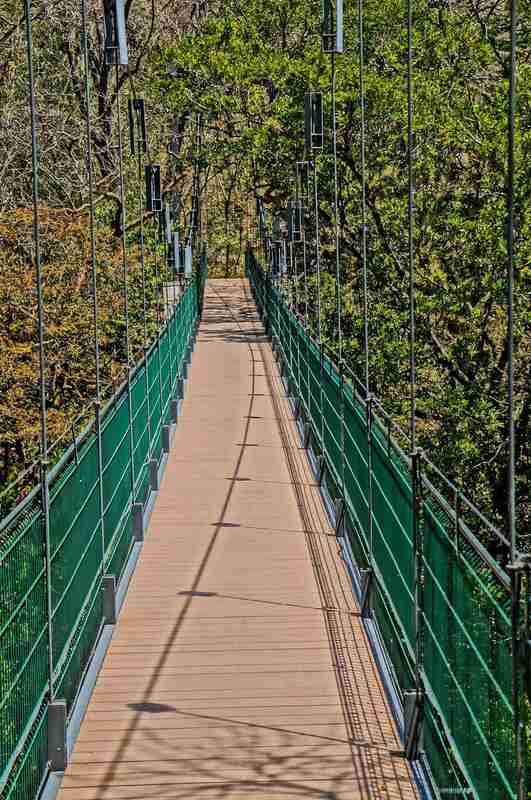 Rio Perdido Adventure and Hot Springs Park is an amazing place where you will enjoy the 15 platforms: 6 of them are rock-based, 9 are suspended on the canyon walls, pendulum cable, 50 ft. “Tarzan swing”, 90 ft. challenge bridge, via Ferrata* with lengths varying from 15 to over 30 ft., 5 zip lines with lengths varying from 260 to over 800 ft. 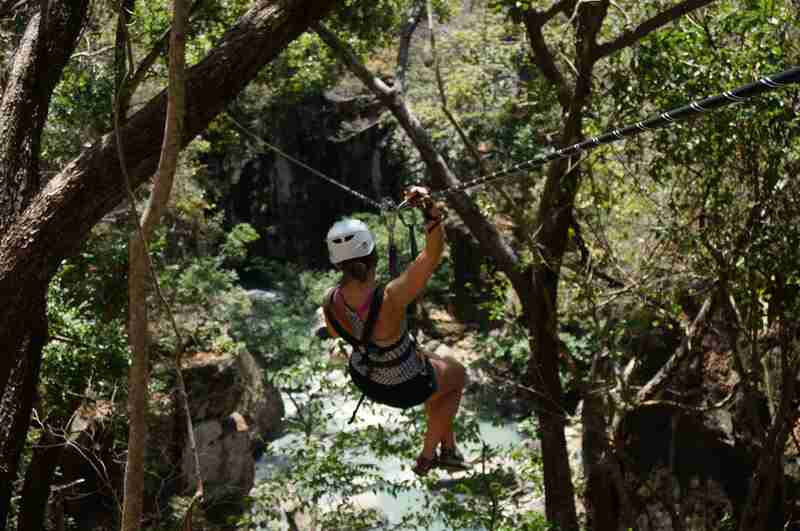 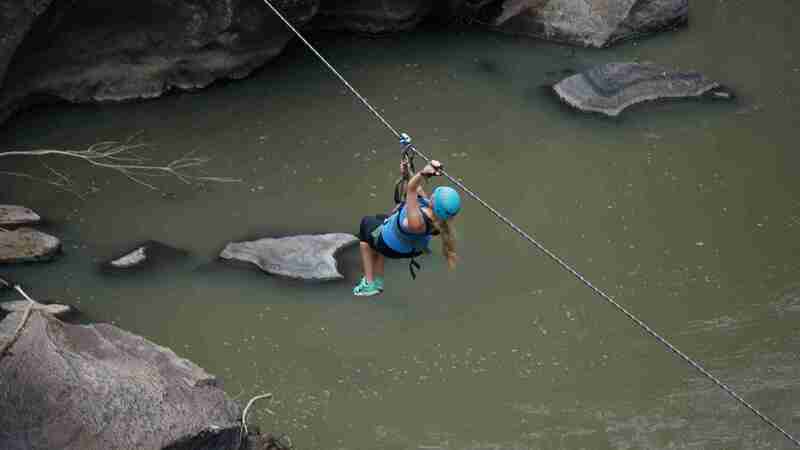 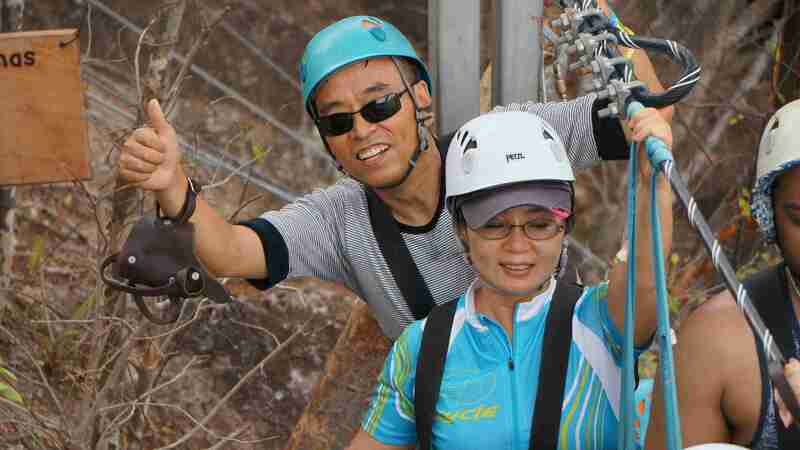 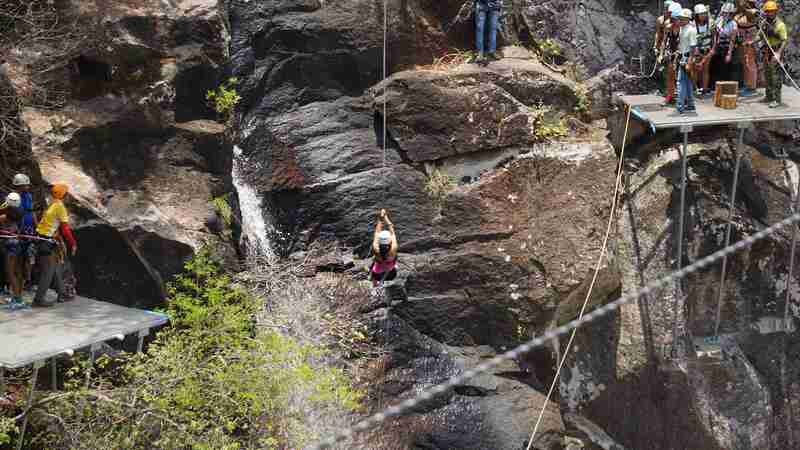 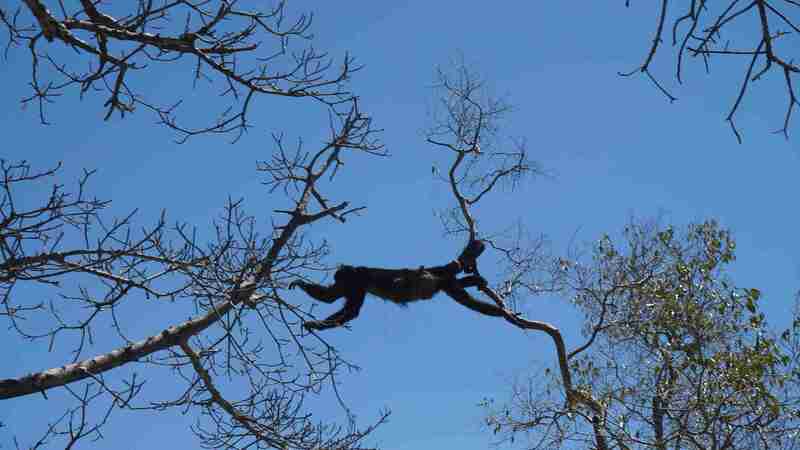 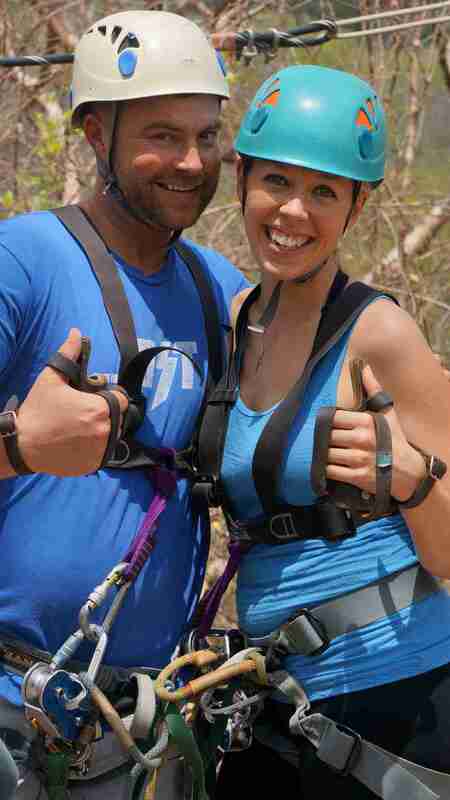 This zip line tour will take you through the river canyon and you will have some walks through the tropical forest. 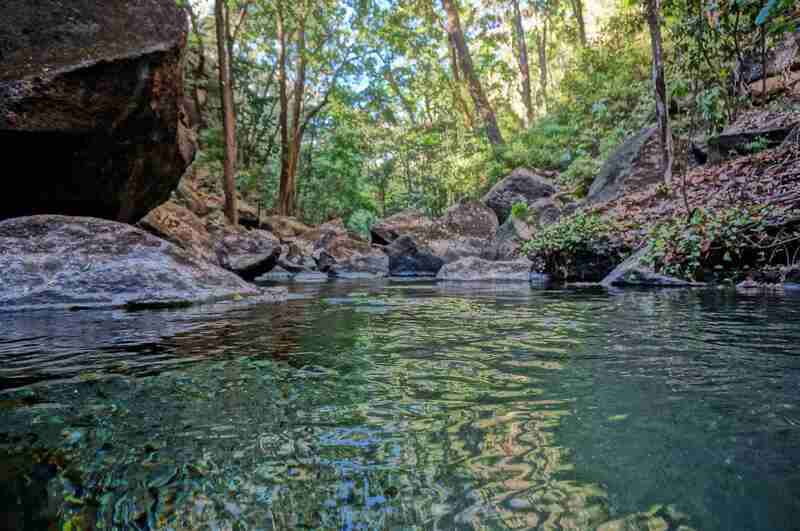 The landscapes of the blue river and the surroundings are amazing. 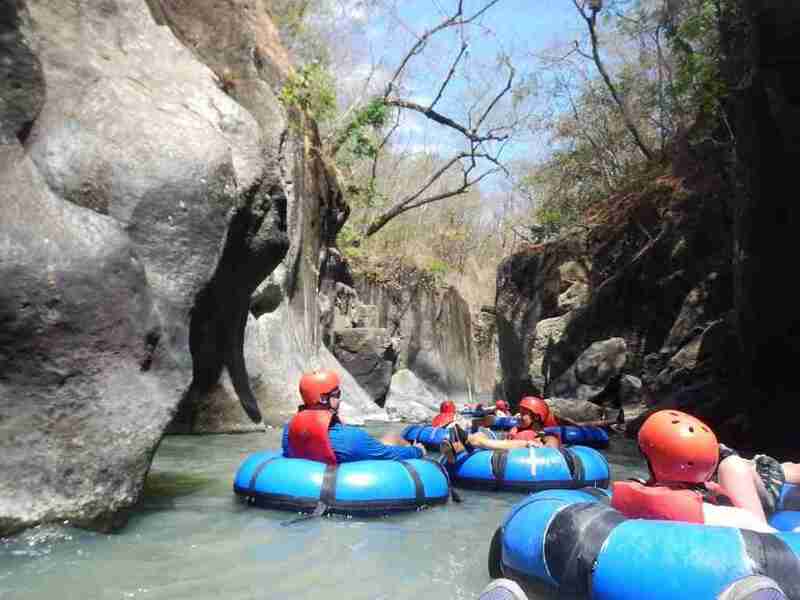 After the zip line adventure and a delicious lunch served at the restaurant, you will prepare for your Tubing experience on the river with amazing landscapes of the rocks formations and lots of fun on the river rapids and small falls. 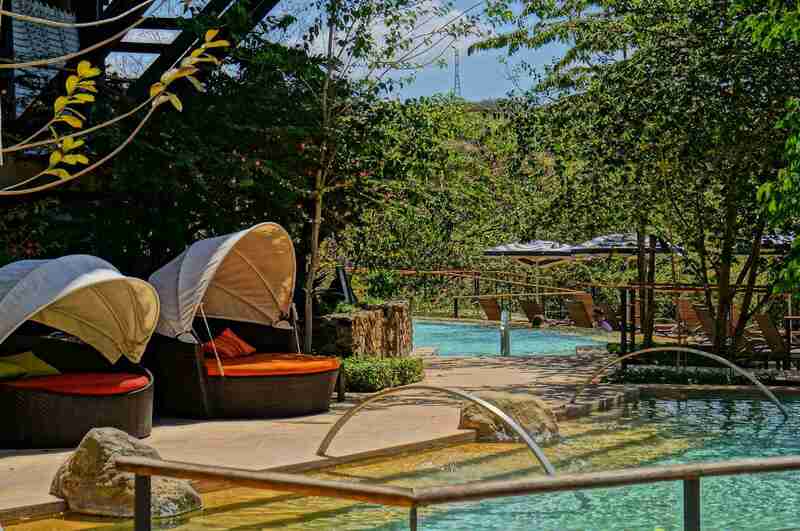 After enjoying the adventure side you will relax in the thermal hot springs pools with really nice surroundings, decks and pool bar also an entire thermal river runs only 100 meters from the pools where you can relax on the quiet and natural hot springs of the river surrounded by nature. 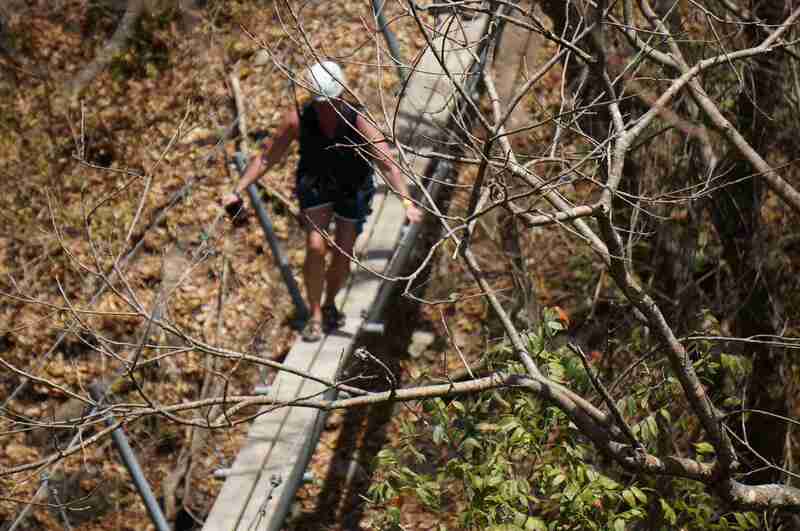 Rio Perdido Adventure & Hot Springs is the perfect place for families, friends or couples looking to enjoy an adventurous day in nature. 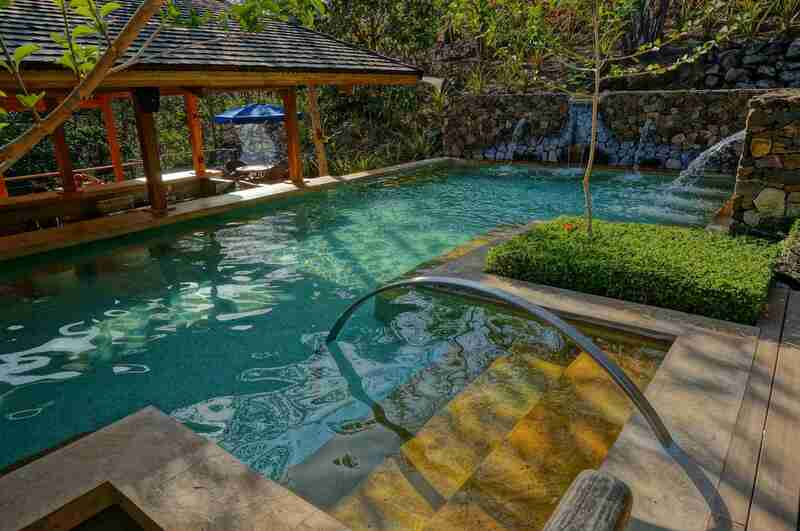 From Playas del Coco, Hermosa, Ocotal, Andaz Papagayo, Secrets Papagayo, Riu Guanacaste Hotels, Four Seasons Peninsula, Planet Hollywood Costa Rica, Grand Papagayo, and Mangroove Hotel. 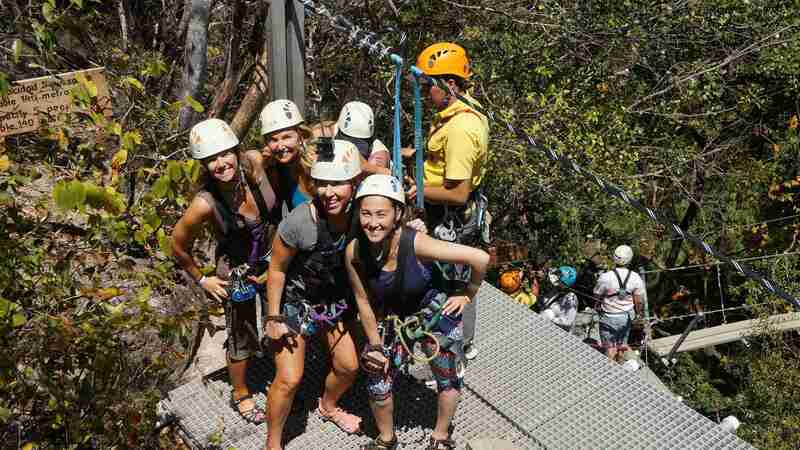 From Tamarindo, Langosta, Flamingo, Potrero & Conchal please add $20 per person. 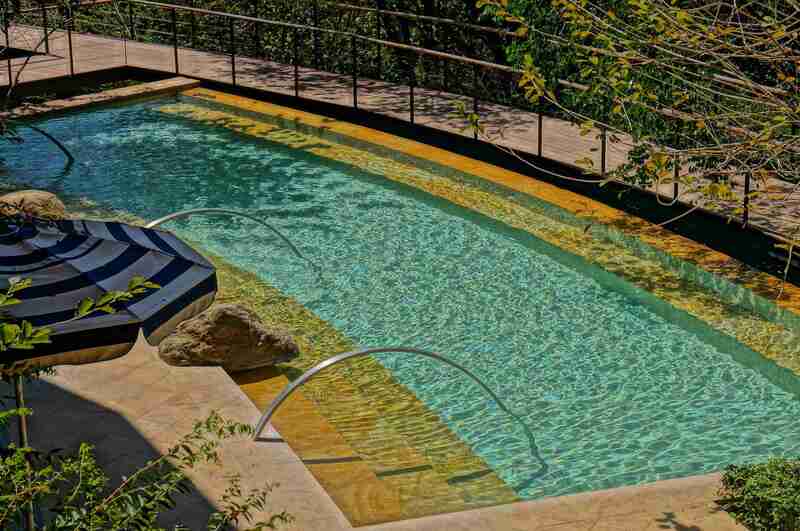 Special rates for groups please inquire. 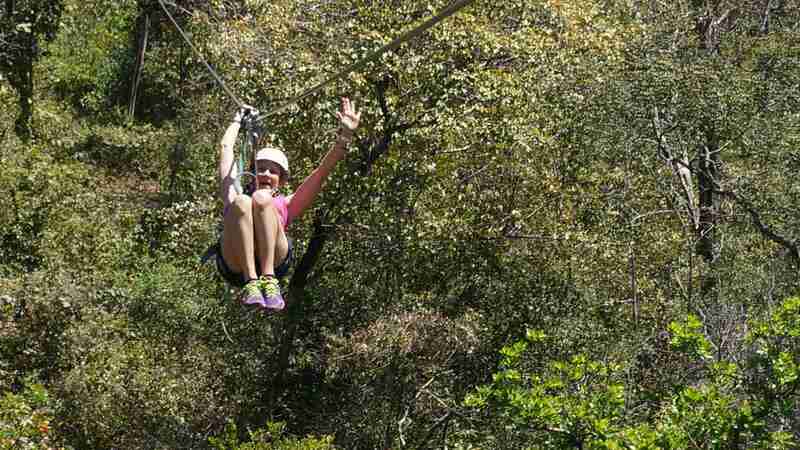 Transportation, Zip Lines, Tubing or 50 min massage, Hot Spring pools, Thermal River and Lunch.